Tiny plants can give great pleasures. 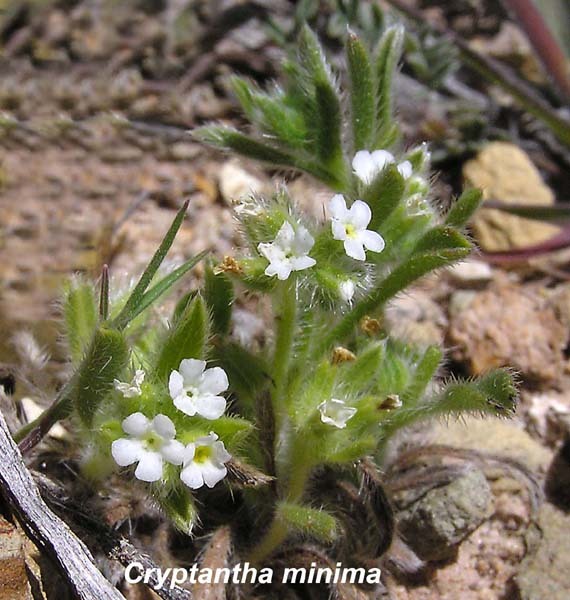 Cryptantha minima grows to just a few inches tall - the plant pictured is just over an inch tall. The myriad of fine hairs is typical of the Crytantha genus. "Cryptantha" is Greek for "hidden flower" and probably refers to the very small size of the flower.